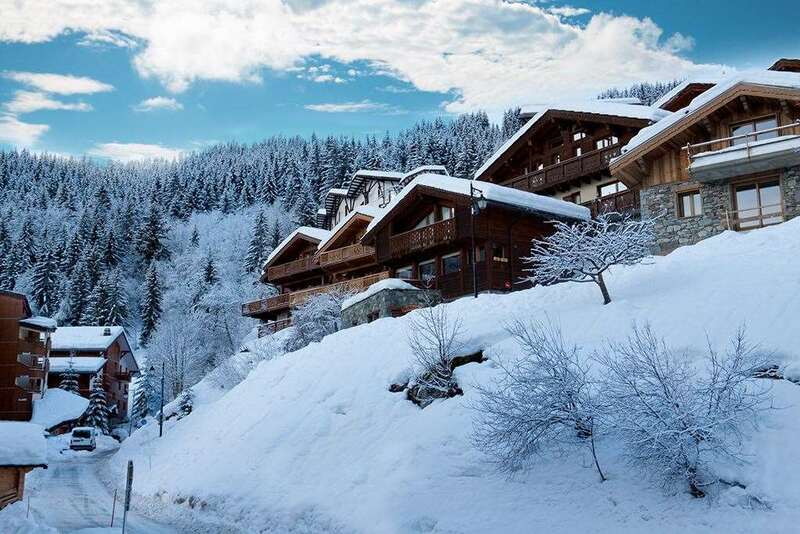 One of France's best kept skiing secrets, La Tania lies between Courchevel and Meribel in the extensive Three Valleys ski area. Purpose-built in 1992 for the Winter Olympics, this pretty little resort has been sympathetically constructed using natural materials. A free bus service links La Tania with Courchevel 1850 during the day, although skiers will prefer to take the gondola straight up to the ski area. Having been pretty much purpose built in 1992 for the Winter Olympics you're just two lifts away from Courchevel and Meribel, in either direction, and the fast new telecabine swiftly transports you to the heart of the 3 valleys, with access to over 600kms of runs. The resort centre is a car-free zone, and the nightlife for ski holidays in La Tania is quieter than it’s busy neighbours of Courchevel and Meribel, but with a friendly and ‘petite’ ambience, there are various bars and bistros in and around the village. For beginners on ski holidays in La Tania, the nursery slopes have a free lift, so total novices needn’t buy a lift pass for the first couple of days. Once more confident, the gentle slopes up towards Courchevel attract the more confident starters. Intermediates on ski holidays in La Tania simply burn up miles and miles of the unbeatable terrain that comprises the Three Valleys ski area. 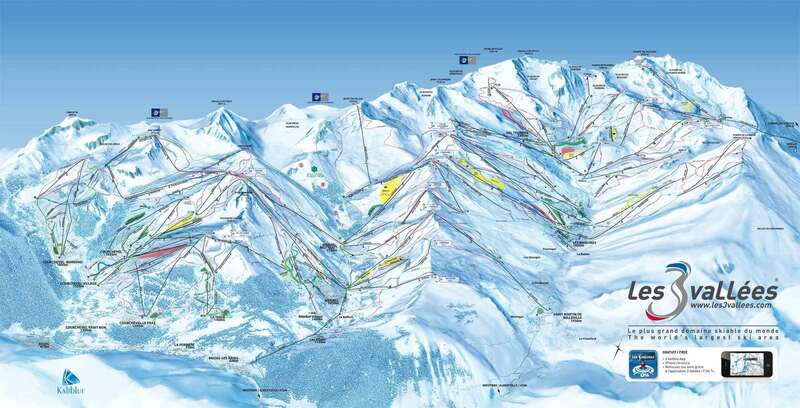 The ultra modern gondola whisks skiers up to the Courchevel pistes, and a chairlift provides a direct link to Meribel. There are tempting reds back down to the village of La Tania at the end of the day. Experts on ski holidays in La Tania will be tested by the severe mogul fields and a truly wicked ‘Jockey’s’ run down to Le Praz. The off piste opportunities are endless with narrow couloirs and steep descents abundant across the entire Three Valleys area. There are many snow cannons covering most of the pistes in La Tania and the Three Valleys which guarantees snowfall throughout the whole season. Families love the village as it is much quieter than its more well-known neighbours, with chalets nestled amongst the trees and a fully pedestrianised centre with a selection of bars, restaurants and shops as well as a cinema. Chambery (CMF) is the nearest airport to La Tania just 104 km from resort. Other airports include Geneva (GVA), Grenoble (GNB) and Lyon (LYS) which are also a short drive away. LA Tania is a great little place to access the 3 valleys area. Red, blue and green runs return to the resort so anyone should be able to ski back at the end of the day. Easy to get to Meribel or Courcheval, but if you are not confident or just starting you can catch a free bus to Courcheval for plenty of easy, pretty runs. Night life is pretty limited (3 bars) although the Ski Lodge is lively with live music or disco. Recommend La Tania for all levels of skiers. La Tania is a great little resort. Very compact and not a huge amount to do but there are bars to suit all tastes and a couple of restaurants with friendly staff and decent food. The skiing into the village is limited and you have to rely on the lift out of the village to link up to Courchevel and Meribel. However, the lift is quick and there are miles of skiing open to you. The green run into the village is narrow but skiable by all but the very inexperienced. The blue is a different matter, as it is a red in some areas. Catch the lift back down into the village if you are not sure. The red is similar but a good challenge for intermediates. There is a good bus service to and from Courchevel and there were rumours of a similar service starting to Meribel. I would definitely stay in La Tania again.